Plextor introduced new firmware for the M5 Pro SSD that increases the disks random read performance to 100,000 IOPS, while also boosting random write speed to 88,000 IOPS , sequential read speeds to 540MB/s and sequential write speeds to 470MB/s. 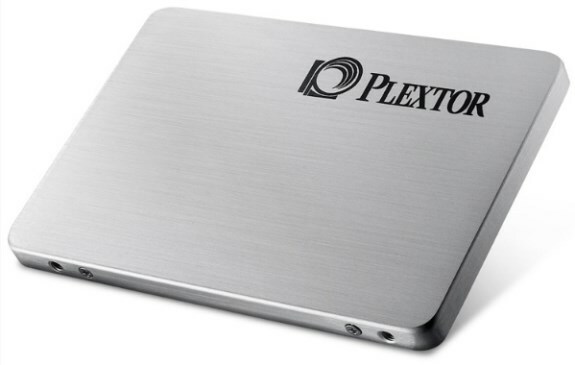 Users of this SSD can download the update at Plextor's website. Plextor, a leading developer of high-performance digital storage equipment, announces the release of the 100K Xtreme firmware update for its multi-award winning M5 Pro SSD. This update transforms the current M5 Pro into the M5 Pro Xtreme - the first truly professional SSD capable of delivering random-read speeds up to 100,000 IOPS along with improved maximum random-write speeds of 88,000 IOPS, a 470 MB/S sequential write speed, and an impressive 540 MB/S sequential read. The Plextor M5 Pro has already been a success across the globe not only generating significant sales, but picking up large numbers of awards in reviews and the top position in group tests. Engineered to use the latest Marvell 88SS9187 controller and Toshiba's new 19 nm Toggle NAND, Plextor expects further success with the drive's Plextor M5 Pro Xtreme version. The M5 Pro Xtreme retains the features that define it as a true professional SSD; this includes a calculated mean time between failures of 2.4 million hours. This level of reliability has been achieved through extensive development, strict quality control, and a stringent pre-production testing requirement of 400 drives passing 500 hours of intensive tests with zero errors. The M5 Pro Xtreme is also the first drive to feature Plextor's True Protect unique enterprise-grade double-data protection technology. The first element in True Protect is a multi-layer system to ensure the highest level of data integrity, combining the latest 128-bit error correction built into the Marvell controller with Plextor's exclusive firmware-based Robust Data Hold-out algorithm. True Protect's other element is protection against data theft using 256-bit AES full-drive encryption for maximum confidentiality.